I recently posted about a cat bed I made using an old wooden crate and part of a chair that I found discarded and ready for the garbage pile (see that post here). Since I had only used the legs from the chair and wasn’t quite ready to throw the rest away, I was hopeful that I could find a way to repurpose the rest of it someday. 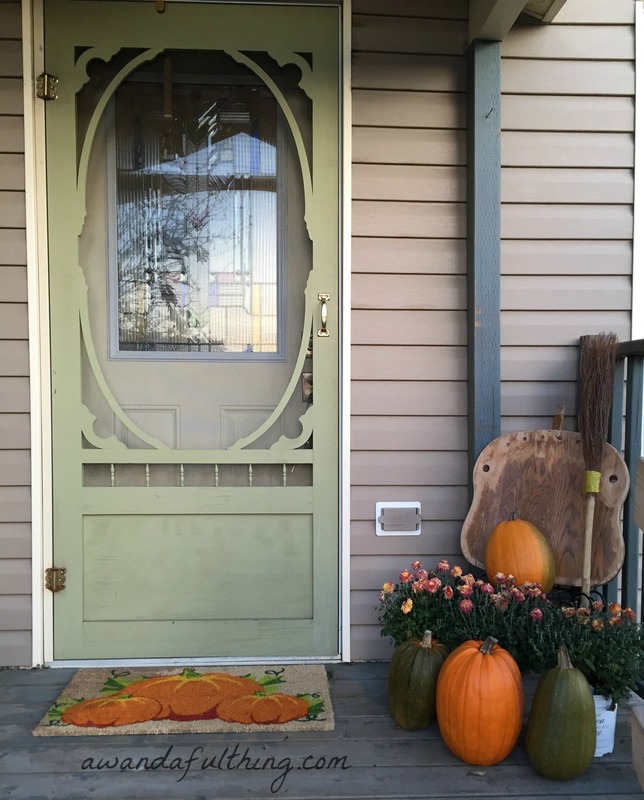 Inspiration struck when I started to decorate my porch for fall and Halloween. 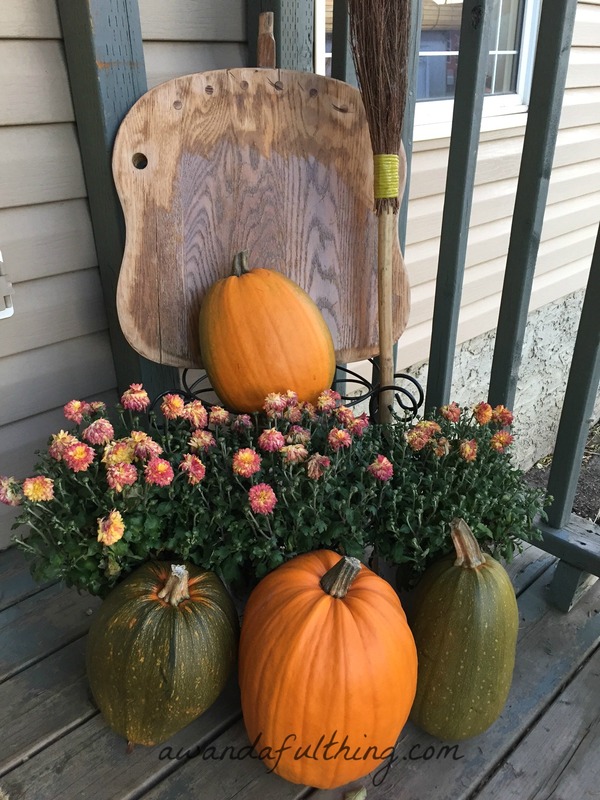 and I knew immediately that I was going to use it as a rustic wooden pumpkin. The hubs cut a small piece from the bottom of the chair harp to use as the stem and all he did was glue it to the top. I sanded all around the outside to give it a bit more of a worn out look and simply put it on display. It’s perfectly imperfect, just the way I like it. 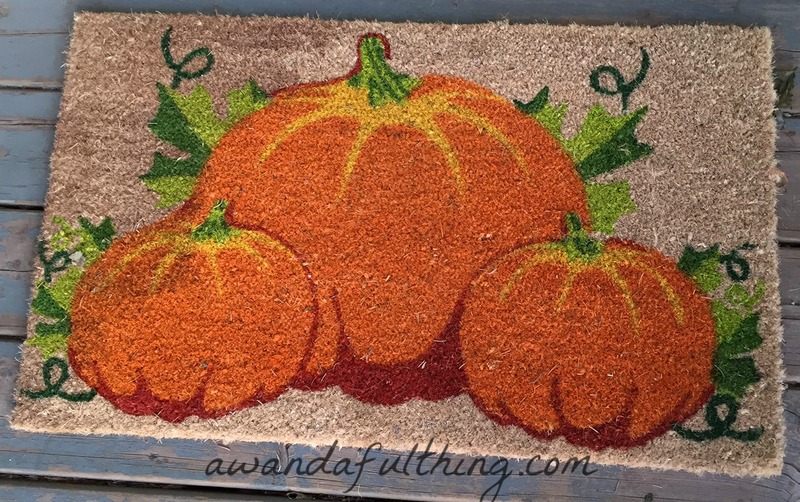 Maybe next year I will paint or stencil my rustic wooden pumpkin …but for now it’s staying just the way it is and to me that’s A Wandaful Thing! 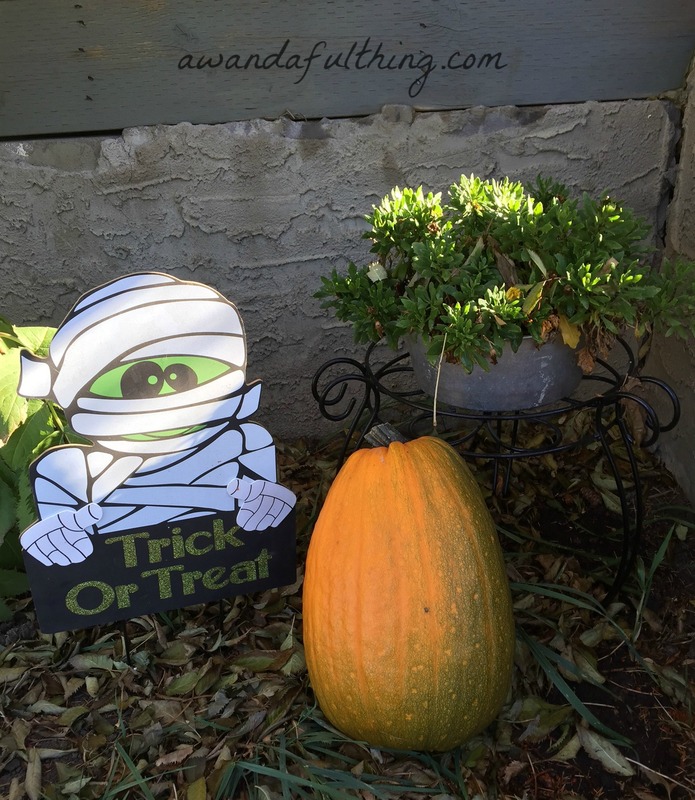 Did you decorate your porch this year? I’d love to see what you did, feel free to share your pics in the comments. 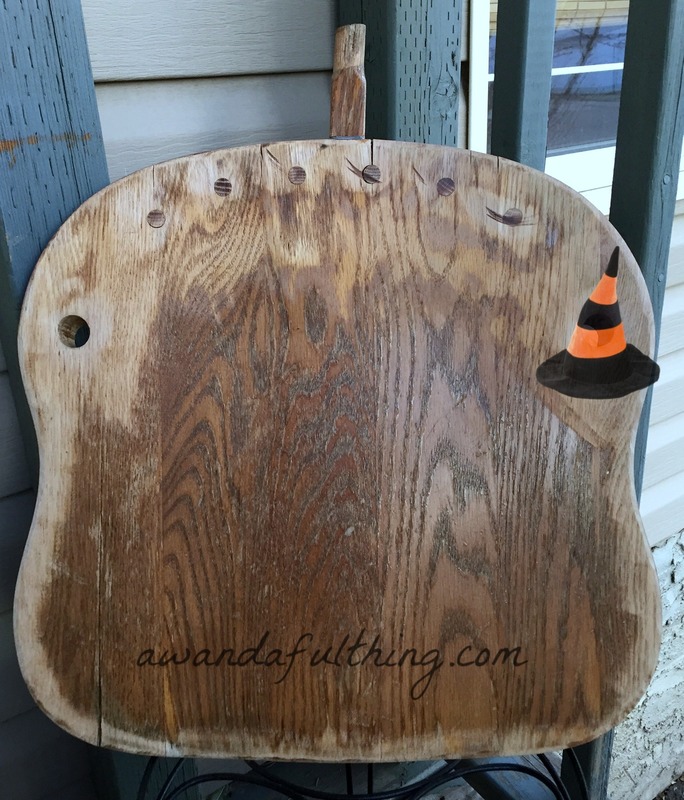 This entry was posted in Decorate, DIY and tagged chair, decor, Decorate, DIY, easy, halloween, ideas, paint, pumpkin, repurpose, reuse, rustic, seat, wood, wooden. Bookmark the permalink. What a great idea! Don’t you just love it when that light bulb goes off? I think it’s just perfect as is:) Thanks for sharing at Vintage Charm! Thanks for checking out my site Chole, I was just checking out your site and enjoying all your adventures and I think it’s fantastic that you can share and help folks with cow’s milk allergies, I am lactose free and will take some helpful tips from your site. It looks lovely. Great pictures. Love the way the orange plays off the wood. Very inviting!